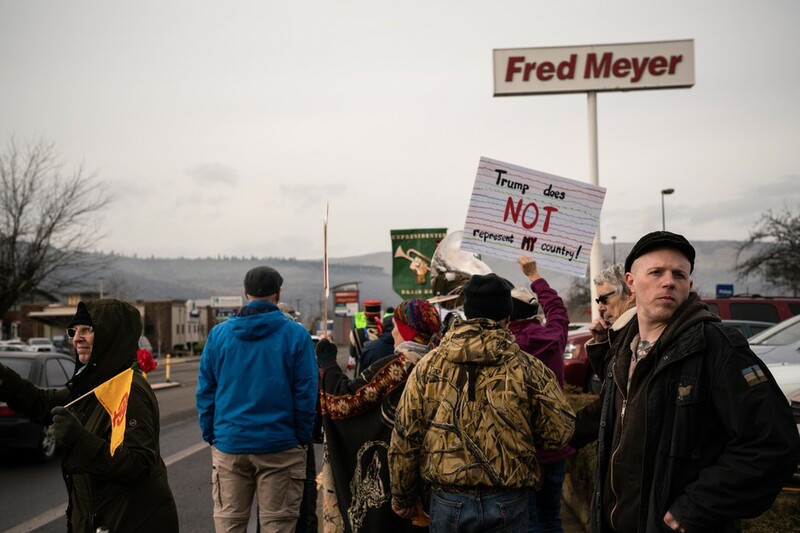 by Jonathan Levinson Follow OPB Feb. 9, 2019 12:45 p.m. | Hood River, Ore.
With the threat of right-wing violence on the rise, some activists on the left are taking a page out of the 1960s civil rights movement: armed self-defense. 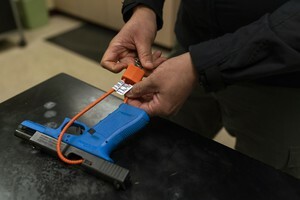 With the threat of right-wing violence on the rise, Eliot is among a growing number of activists on the left who are taking a page out of the 1960s civil rights movement: armed self-defense. That threat was on Eliot’s mind at the march. Tucked under his army green jacket was a Springfield Armory XD-S 9 mm handgun. Ross Eliot, a leftist activist and proponent for armed self-defense, looks behind the Women’s March for any possible threats on Jan. 19, 2019 in The Dalles, Ore.
on a Portland train in 2017 and the neo-Nazi who killed someone when he drove his car into a crowd of protesters in Charlottesville. Ross Eliot, an activist and proponent of armed self-defense, fires a handgun on Feb. 2, 2019 in Hood River, Ore.
Rosie Strange sits in a restaurant after the Women’s March on Jan. 19, 2019 in The Dalles, Ore. 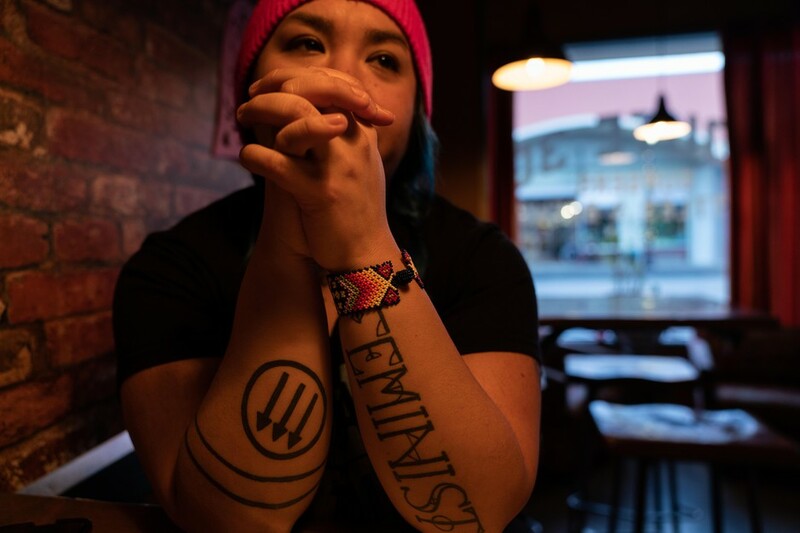 Her left arm says “FEMINIST” and her right arm has an anti-fascist symbol on it. 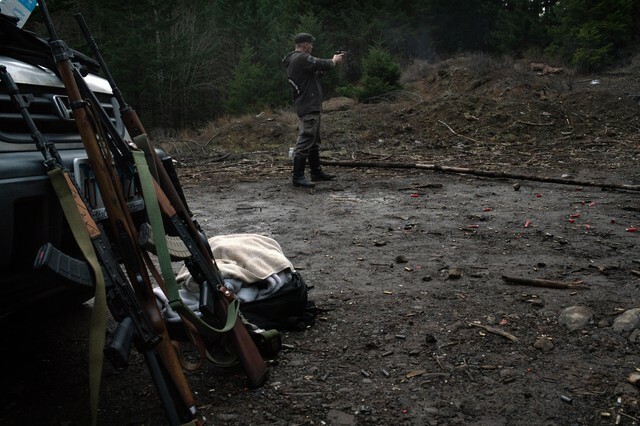 Ross Eliot (center, left) and Rosie Strange (right) take target practice with other activists on Feb. 2, 2019 in Hood River, Ore.
that say her gun is more likely to be used against her than to protect her. But she said those statistics lack nuance. Johnson is an expert in firearms law and wrote “Negroes and the Gun,” a book on the history of armed self-defense in the black community. Johnson said even the NAACP cut its teeth defending black people who had used guns in self-defense. For example, the organization helped defend Ossian Sweet in 1925 after he was charged with murder for defending himself against a white mob that was angry he had moved into their neighborhood. 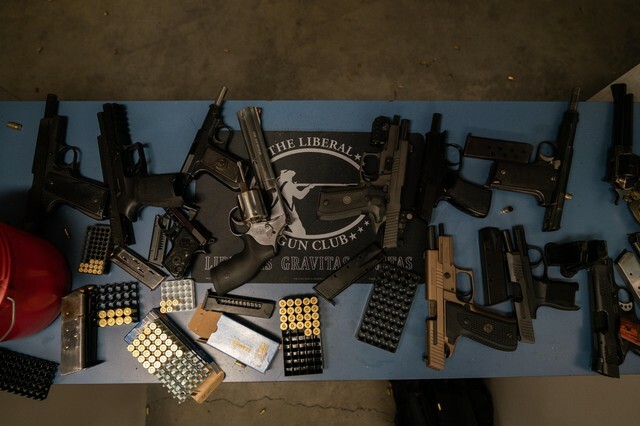 Guns are splayed out at the gun range during The Liberal Gun Club’s winter range day on Jan. 26, 2019 in Portland, Ore.
, Oregon has the 11th lowest violent crime rate in the country. 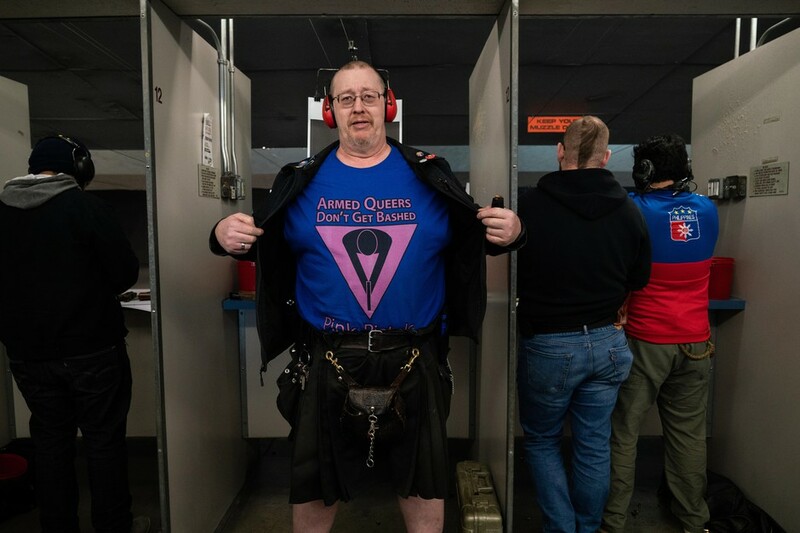 L.A. Watson-Haley shows off his new T-shirt at The Liberal Gun Club’s winter range day on Jan. 26, 2019 in Portland, Ore.
is a public media reporting project on the role of guns in American life. 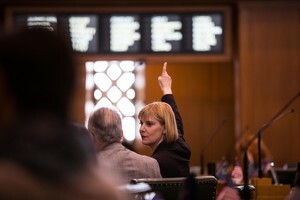 Editor’s note: A previous version of this story misidentified the location of the Jan. 19, 2019, Women’s March in a photo caption.